Internet users spent more time on sites like Facebook in 2010, while email usage declined. NEW YORK ( TheStreet) -- Internet surfers spent more time on social networking sites in 2010, while email usage declined, according to a new report. About 90% of U.S. Internet users visit a social networking site each month, accounting for 12% of all time spent online, research shop Comscore said. 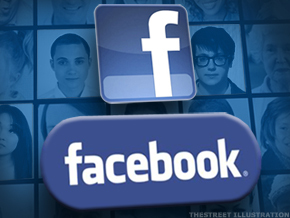 Facebook, whose U.S. audience grew 38% in December to 153.9 users, became the fourth most visited property on the Web. Total time spent on the site soared 79% to 49.4 billion minutes, while page views jumped 71% to 76.8 billion. While MySpace was the second most visited social networking site, its user base saw some attrition. In December, the News Corp ( NWSA - Get Report)-owned property's audience fell 27% and total time spent on the property was cut in half. LinkedIn, the business-oriented social network that recently filed for an IPO, saw its visitors rise 30% in December to 26.6 million. Micro-blogging site Twitter increased 18% to 23.6 million visitors during the month. And while social networking sites are surging in popularity, usage of Web-based email has fallen 8%, with the biggest decline among 12 to 17 year-olds, with an almost 60% drop. Last year, Facebook unveiled a new messaging system to address the shifting habits of its users, launching a product that combines text-messaging, email and instant messaging. Teens and young adults find traditional e-mail "too slow and too formal," Facebook CEO Mark Zuckerberg has said.